Policy & Resources Committee is asked to review the progress of Key Performance Indicators that relate to the delivery of the Strategic Plan 2015-2020. The Committee is also asked to consider the comments and actions against performance to ensure they are robust. 1.1 Having a comprehensive set of actions and performance indicators ensures that the Council delivers against the priorities and actions set out in the Strategic Plan. 2.2 Overall, 75% (9) of targeted KPIs reported this quarter achieved their target for quarter 2. For 50% of indicators, performance improved compared to the same quarter last year, where previous data is available for comparison. 3.1 For the period of April � July, 95% of land and highways had acceptable levels of litter. The target of 93.5% has been exceeded. These surveys are carried out 3 times a year, and so this indicator is reported 2 months in arrears. 3.2 For the same period, 91.5% of land and highways had acceptable levels of detritus, against a target of 84%. 3.3 We attended to 133 reports of litter in the borough during quarter 2. This is an increase of 2 in comparison to quarter 1. We do not currently have data for the previous year to compare against. 3.4 We cleared 77.5% of fly-tips within 2 working days during quarter 2 against a target of 88%. There have been 245 fly tips in the past quarter, meaning the target was missed by 25 fly tips. The performance has been below target due to three key reasons: cleansing of high speed roads, staff sickness, and technical issues. During the quarter, we carried out overnight cleansing of high speed roads which limited daytime resources. We are exploring alternative ways of carrying this out, which will have a lower impact on the frontline service. There have also been a number of technical issues which have affected how quickly information is passed from frontline operatives to close the reports. Updates to the software have been carried out to resolve these issues. The number of fridges and freezers has also been monitored over the past quarter following changes to the bulky collection service.� The number reduced from 14 in Quarter 1 to 9 in Quarter 2, showing less than 4% of fly tips involve fridges or freezers. 3.5 54.5% of household waste was sent for reuse, recycling, or composting during July and August. We are currently awaiting figures for September from Kent County Council. Performance has continued to improve since quarter one, again meeting its target. This shows a significant improvement in recycling rate, and the positive effect that recycling campaigns and projects are having. 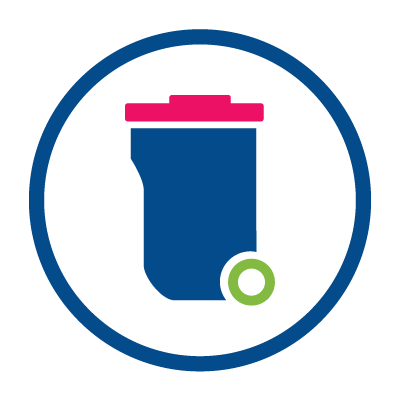 The main reason for the increased recycling rate is rising food waste recycling due to a number of recent campaigns.� Increased garden waste tonnage is also having a positive impact. 3.6 During quarter 2, 60% of fly-tips with evidential value resulted in enforcement action. This is a significant increase in comparison to quarter 1. The changes made to the enforcement team have had positive outcomes, and increased collaborative working. It is expected the enforcement action rate will exceed the target for the rest of the year. 3.7 Footfall on the High Street was 3,167,617 during quarter 2, exceeding the target of 2,400,000. This has exceeded the previous quarter�s figure by almost 100,000, and the same quarter last year by over 300,000. The main increases are on Saturdays when the town is a lot busier; however there are smaller increases on other days. One of the contributing factors could be the number of new residential developments in the town centre, with 240 completions on Prior Notifications for 2016/17. 3.8 We processed 89.6% of Major planning applications in time during quarter 2, with 26 out of 29 being processed on time. Performance has declined in comparison to the previous quarter, and the same quarter last year, when 100% of applications were processed on time. However, we have achieved the target of 85%. 3.10 We processed 95% of �Other� applications in time during quarter 2. Performance has improved since the first quarter, and is comparable to last year. We have significantly exceeded the target of 85%. 3.11 A total of 147 households were housed through the housing register during quarter 2, narrowly missing the target of 150. This is a slight increase in comparison to the first quarter, however it is has reduced in comparison to the same quarter for 2016/17. The number of affordable properties delivered by Registered Providers is lower than last year, meaning we have fewer properties to offer those on the housing register. 3.12 There were 74 affordable homes delivered during the second quarter. There has been good progress with schemes, and as expected completions are starting to pick up. This resulted in the target of 50 being exceeded. There are still 84 shared ownership completions, and 91 affordable rented completions forecast for the remainder of the year. Therefore it is expected that the annual target will be achieved. 3.13 A total of 137 homeless preventions were made during quarter 2. This comprises of 70 homeless preventions completed within the Housing Advice Team. 57 were given assistance from Discretionary Housing Payments, and 10 received Sanctuary Scheme support. Good performance has continued, with a slight increase in comparison to the previous quarter. Performance has also significantly increased in comparison to quarter 2 of 2016/17. 3.14 There were 91 households in temporary accommodation (TA) on the last night of the quarter. There has been a slight increase compared to the last quarter, however there has been a significant decrease from 112 households for the same period last year. There was also a 67% increase in the number of applications made for the previous year. Of the 91 households in TA, 51 are in nightly paid accommodation, with the remainder in stock owned by the Council, or provided by Registered Providers. 5.1 The Key Performance Indicator Update is reported quarterly to the Service Committees � Communities, Housing and Environment Committee, Strategic Planning, Sustainability and Transportation Committee, and Heritage Culture and Leisure Committee. Each Committee receives a report on the relevant priority action areas. The report also goes to Policy & Resources Committee, reporting only on the priority areas of a Clean and Safe Environment, Regenerating the Town Centre, and a Home for Everyone.